Quintrex 460 Dory - Makes a great quality package! Boasting 3mm bottomsides this sturdy workhorse is suited for all types of boating. 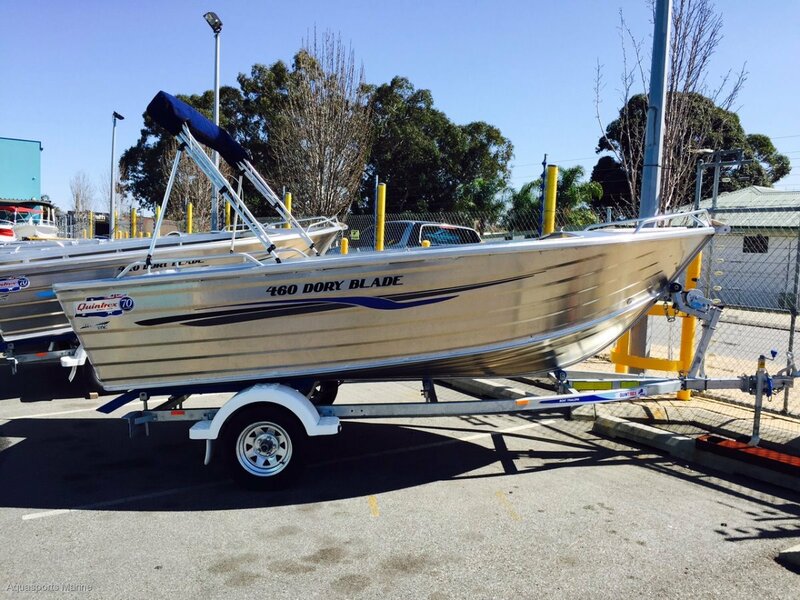 It's full bow shape gives generous storage; this is a great quality package for inshore reef, bay or estuary fishing. Standard with Millenium Hulll, anchor shelf and glove box with drink holder, this is a great quality package for everyone.